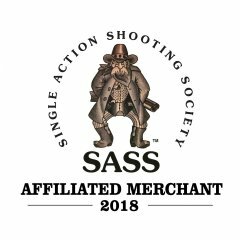 I’m super excited to be a sponsor, vendor and shooter at this years Indiana/Illinois State Match! I’ve never been there before but have heard nothing but WONDERFUL thungs about the range and cowboys & cowgirls who call Paradise Pass home! In order to provide what you need, please place your order early!! I'm coming from SC and will be going to Black Gold on my way home so good planning will help! No order is too big or too small! OK folks. We've met Scarlett and Tom now. This is a first class vendor and first class people. I brought home bullets and they are sure well done. The ammo was beautifully done. Thanks to you two for helping make my birthday party special!